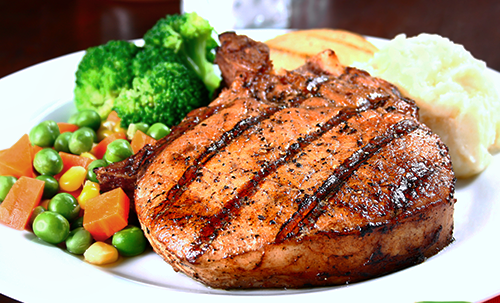 This Pork Chop recipe only requires SIX ingredients! But you won’t believe the taste! Marinate the pork chops with a mix of the Royco Mchuzi Mix, garlic, olive oil, chili powder, soy sauce, and let the chops rest for 30 minutes. Pan-fry the pork chops on a hot frying pan until brown on both sides and cooked through. This should take about eight minutes. Serve while hot, with a side of vegetables and rice.